8-Bit Girl: The Animal Crossing Birthday Calendar is So Cute! 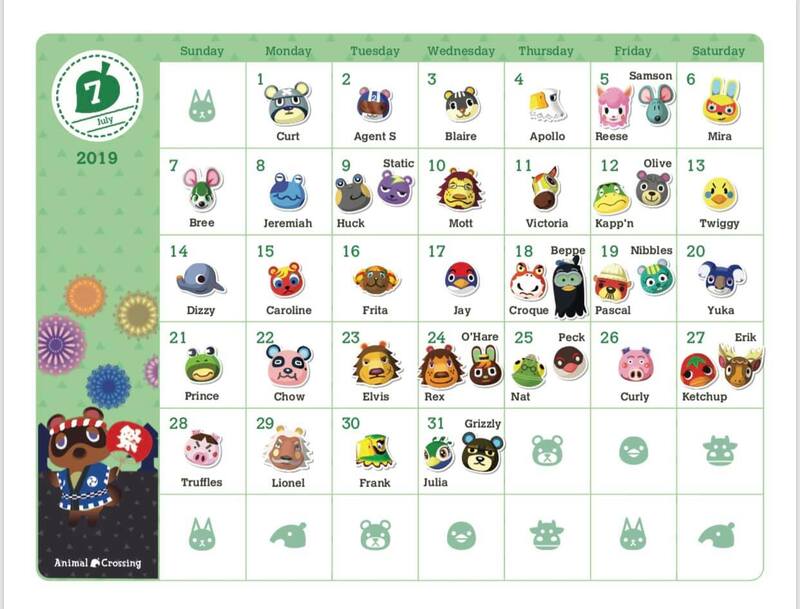 The Animal Crossing Birthday Calendar is So Cute! Animal Crossing is one of my favourite series. It's a series I dip into frequently, as it never fails to make me smile, and is a fantastic game to play when you are looking for something relaxing, and less taxing. What can be more relaxing than talking to cute animals, and completing simple tasks like fishing, bug hunting, and fruit collecting? 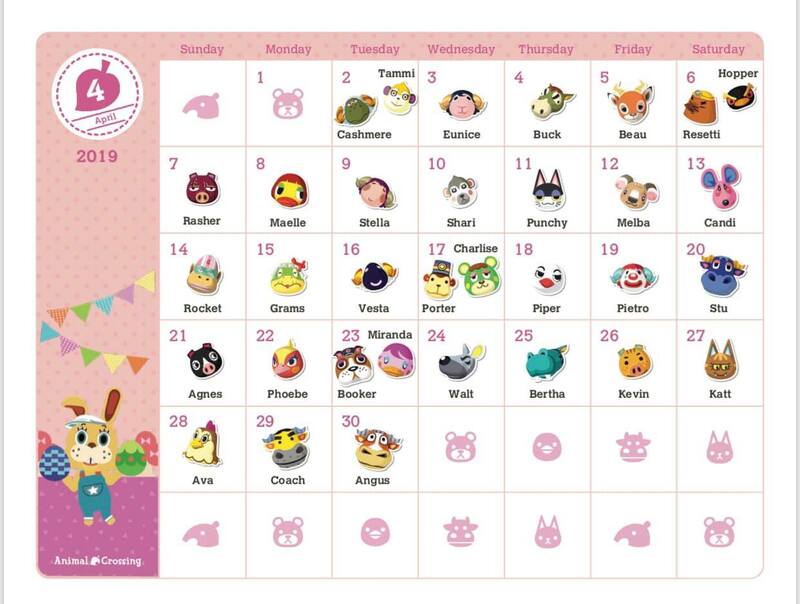 I was happy to see that just before Christmas, Nintendo had released a printable Animal Crossing 'birthday calendar' on the My Nintendo store. 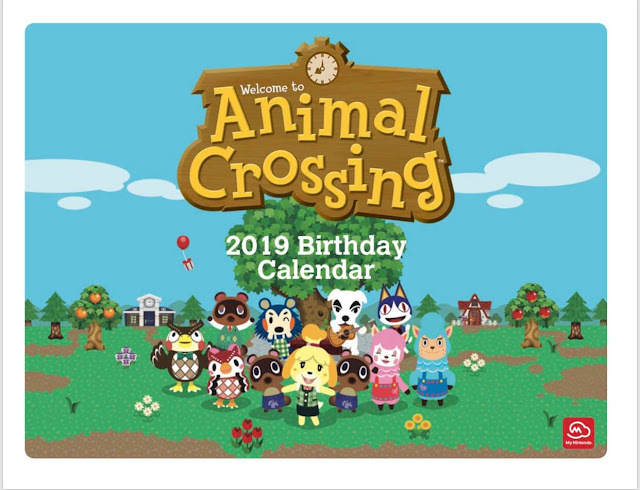 Purchased for 80 Platinum Points, this calendar includes the birthdays of a collection of Animal Crossing villagers, so you can load up Animal Crossing New Leaf on any of these days, and help the villagers to celebrate their birthdays! Sent as a PDF, you'll then get the choice to print it out and create your own calendar - something I plan to do soon. In the meantime, here's a few of the graphics and birthdays you'll see in a few of the months. 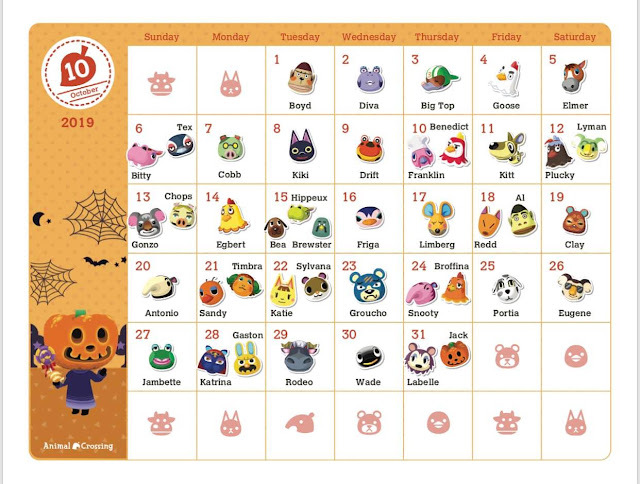 The calendar can be purchased with points on the My Nintendo store here.